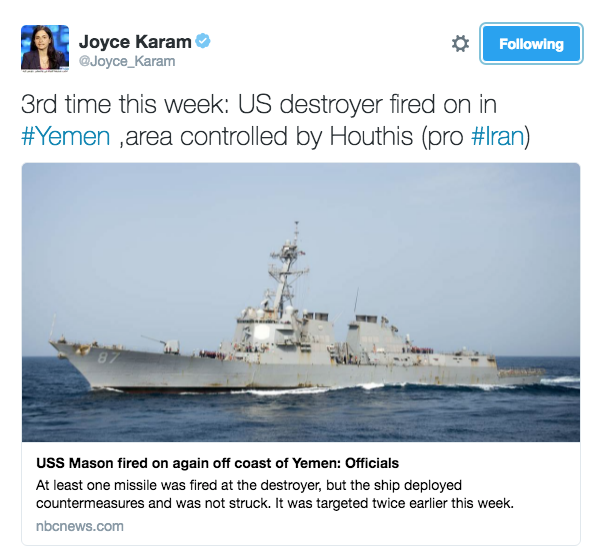 For a third time in about a week the U.S. Navy Destroyer USS Mason was fired upon off the coast of Yemen from a region controlled by Iran-backed terror group, the Houthi. The ship was not hit and it deployed countermeasures. 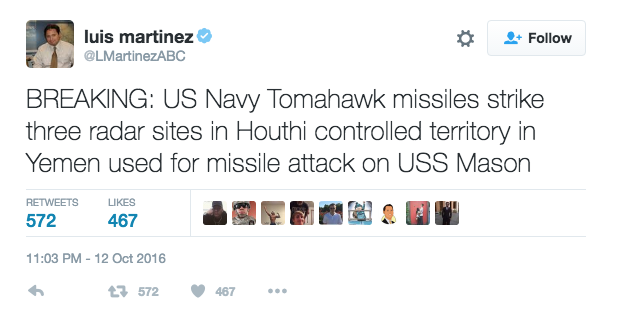 This comes days after the U.S. launched tomahawk missiles into Yemen and blew up three radar sites that are believed to be involved with the first two missile attacks on the USS Mason. “Officials said that the missile was fired at the USS Mason in the Red Sea, north of the Bab al-Mandab Strait, but the missile missed its target. The ship used countermeasures and fired defensive salvos in response to the missile. 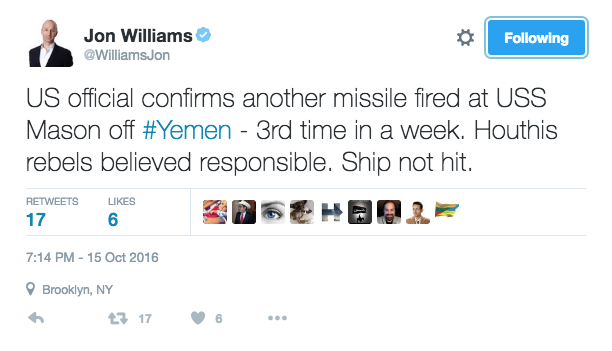 The missile was fired around 6:00 pm local time. The circumstances around this third attempt to hit the USS Mason with missiles appear to be the same as the previous two attempts.